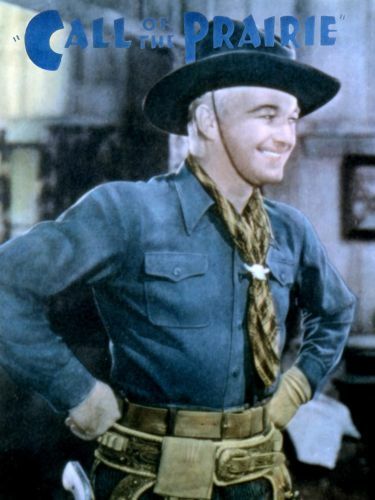 Hopalong Cassidy's young sidekick, Johnny Nelson, is falsely accused of robbing the Bar 20 in this the fourth installment of the long-running Western series. Nelson (James Ellison) had left the ranch in high dudgeon over a perceived slight and fallen in with a gang headed by Shanghai (George Hayes) and Sam Porter (Al Bridge). Since the gang's aim is to rob the Bar 20, Johnny's sudden appearance is seen as a golden opportunity. The youngster is drugged and his easily identifiable neckerchief prominently displayed as the gang unsuccessfully attempts to rob the ranch safe, wounding owner Buck Peters (Howard H.Lang) in the process. When Hoppy (William Boyd) learns of Johnny's assumed culpability, he vows to bring the youngster to justice. Johnny, meanwhile, has managed to escape the gang and is holed up on a spread belonging to innocent Linda McHenry (Muriel Evans), who, unbeknownst to him, is Shanghai's daughter. He is found there by Porter who concocts a devilish plan to kill the boy and establish an alibi for himself at the same time. Luckily, Cassidy arrives to save his young friend in the nick of time and the gang is finally hunted down. Shanghai, who has decided to go straight, is shot in a struggle with Porter, but survives to clear Johnny of any wrongdoing in the attempted robbery.